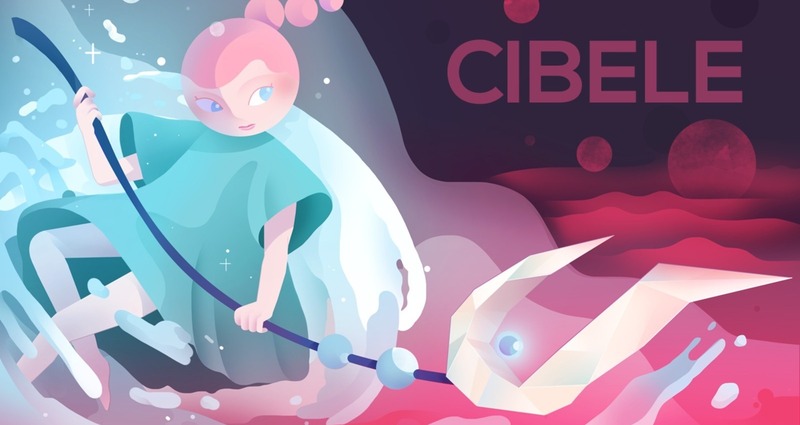 Cibele is a point and click game and period piece released by Star Maid Games about falling in love and growing up on the internet in the early 2000s. Please click the link provided to view the trailer and other relevant information like press and awards. I had the opportunity to act as Art Director, Illustrator and Designer for the entire illustrative portion of the game which included, level design, character designs, UI, attack sequences, icons and promo art. The objective of the illustration components of the game was to create a computer within a computer. Basically the player opens the game and is transported to a fictional teenage Nina’s desktop computer where you can play a game or explore her folders for art and photos that deepen your understanding of the character you’re embodying. My role was to create a sense of this character’s personality and create the fantasy world that she obsessively dips into, the online multi player game Valtameri. Designing Cibele was difficult in many ways. Nina Freeman, the director of the project wanted illustrations that didn’t feel so cut and dry so we had to design characters that moved in a textured landscape. Creating illustrations that weren’t pixel or vector meant huge files and detailing on every little piece of ocean rock or temple pillar. We also had to design the game with no funding in the nooks and crannies of different bars and cafes while sustaining our main hustles. We did not know that it would sell quite well on steam or that it would eventually win awards. All we knew was that we had a deadline and organizing all the members of the team, who sometimes weren’t even in the same state, was a feat in and of itself. Communication would become key and often the greatest hurdle in creating the game was getting your ideas across to someone who thinks very differently from yourself. This was very apparent when one had to explain a thematic or conceptual part of the art and wanted it reflected in the code of the game. This hurdle eventually became the primary life lesson of the game development experience and I’m very thankful for it.